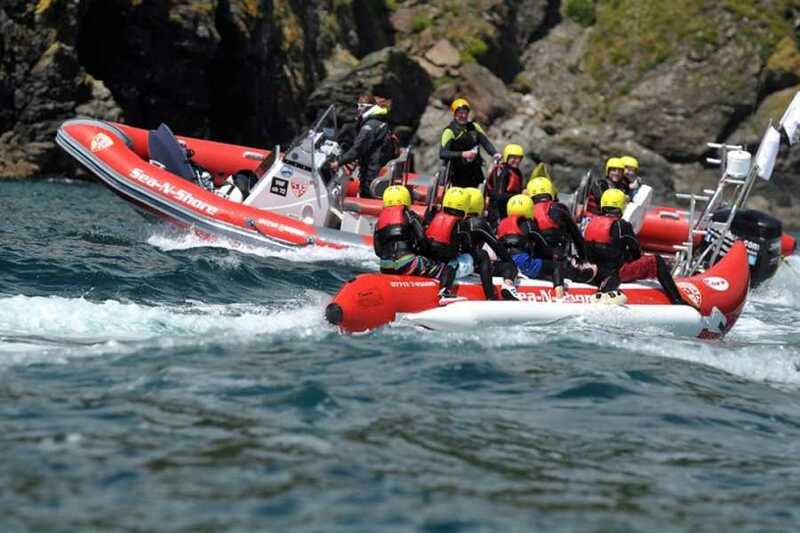 8 man rib (7 passengers) £400 for 3 hours. 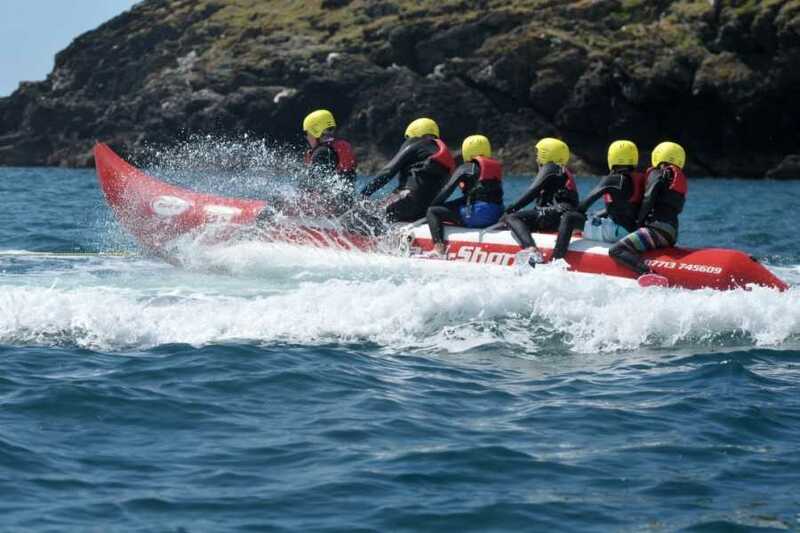 8 man (7 passengers) £600 for 6 hours. 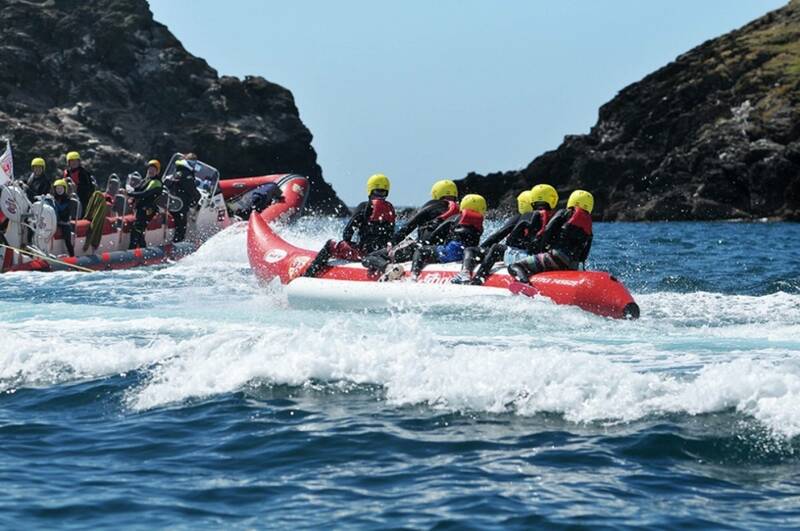 We always have a few logistics and explanations to go through with you so you aren’t disappointed. 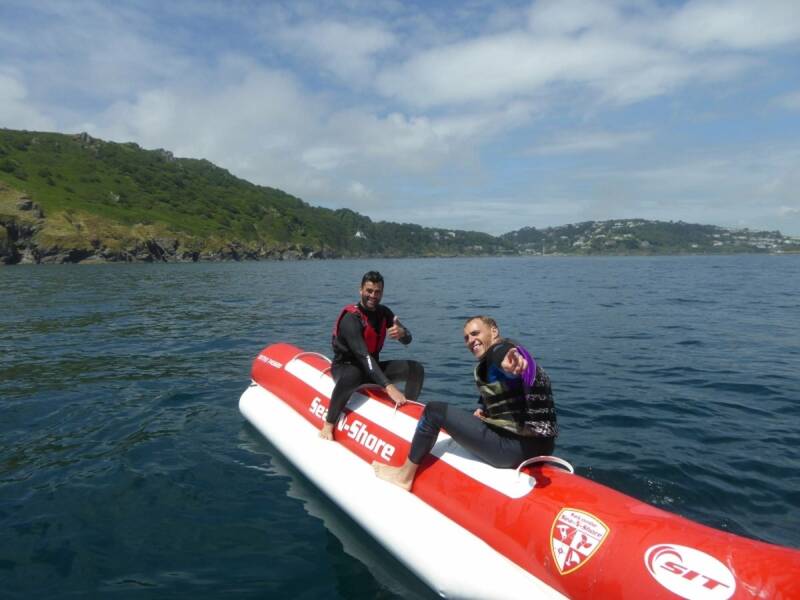 We hire out the big rib for wake boarding, water skiing and banana riding per hour. 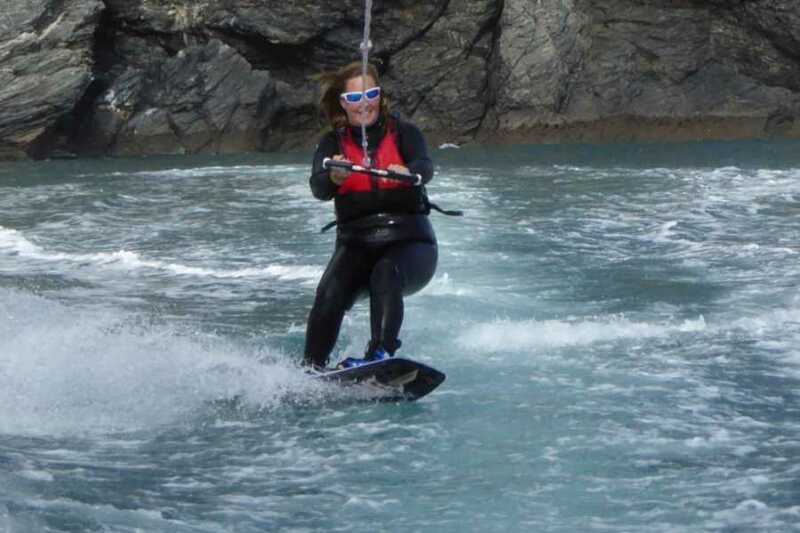 This includes up to 10 people, 1 skipper, 1 instructor, and equipment listed above. 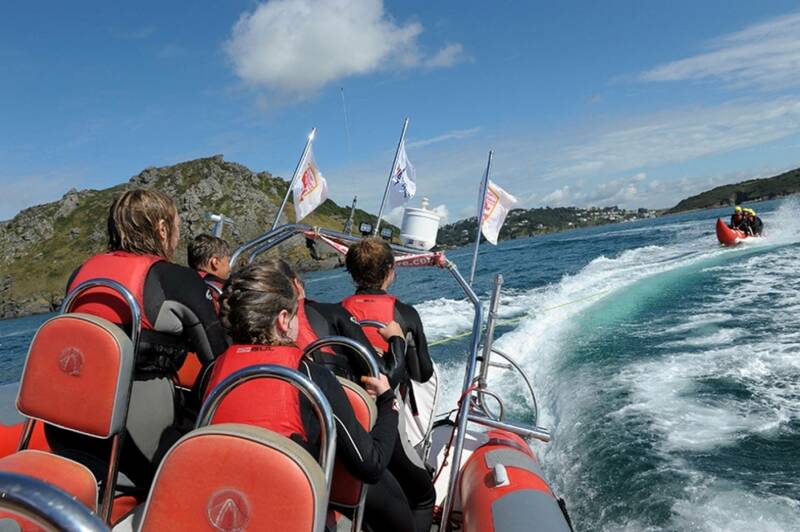 We pick up in Salcombe and then have a 15 min journey out of the harbour to location and the hour doesn’t start until we are out there. 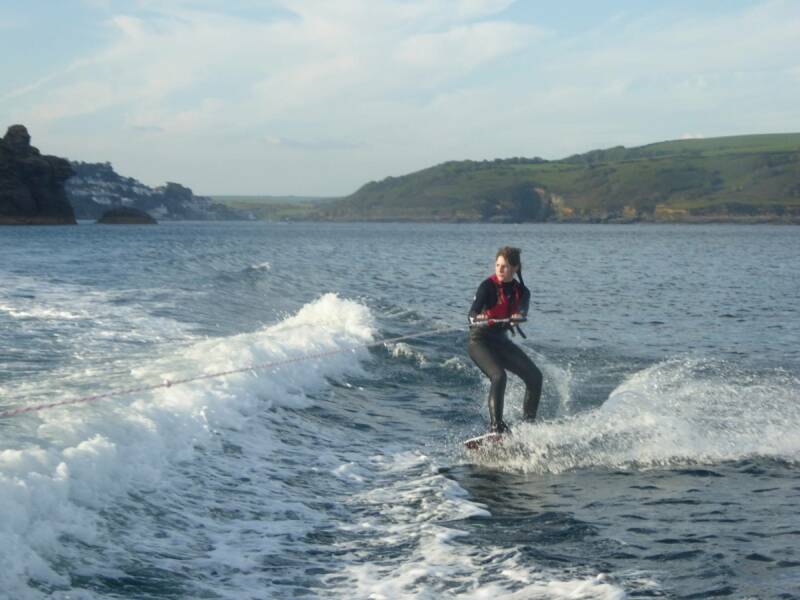 The logistics of ski lessons is always weather dependant too but we can usually find a suitable location out of the wind. 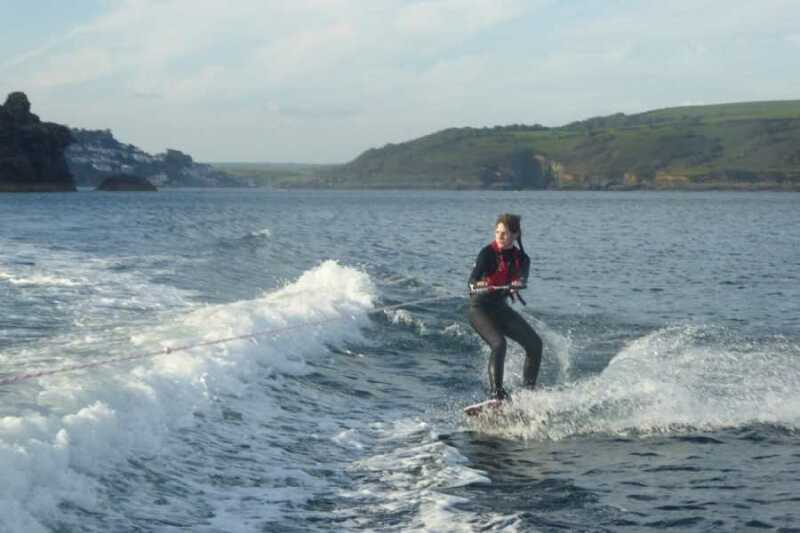 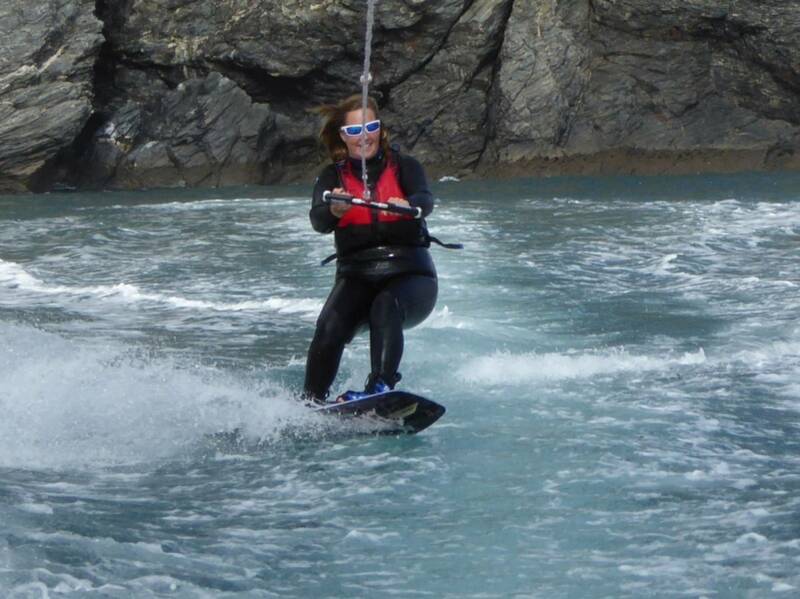 When individuals want to ski/wakeboard for the first time we usually allow around half an hour each. 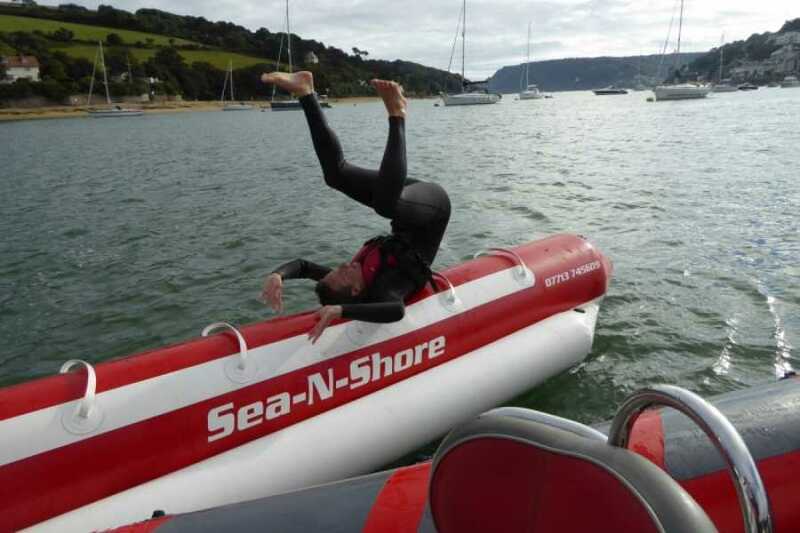 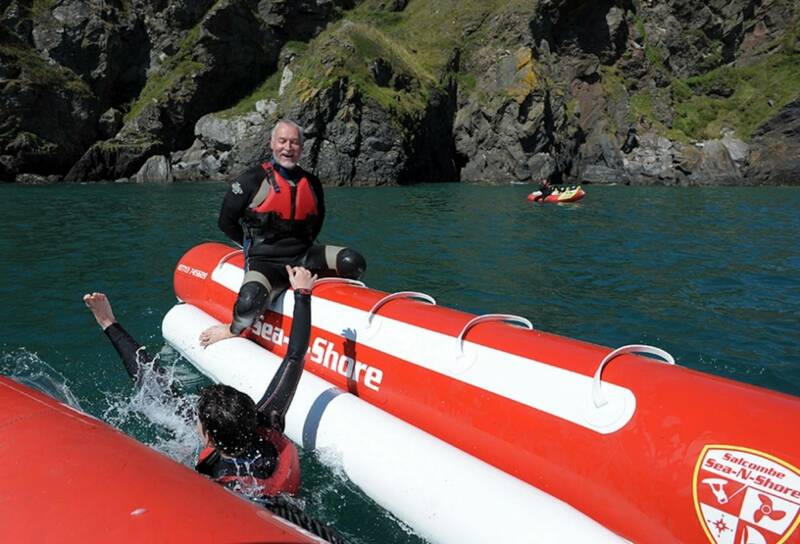 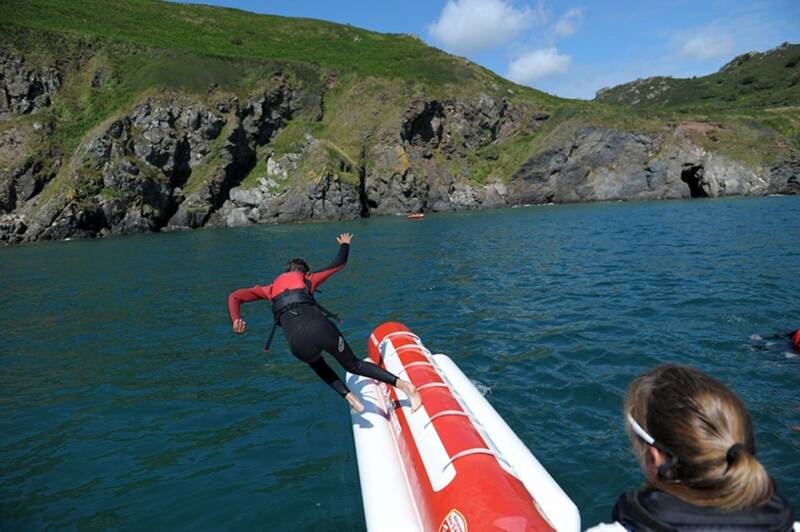 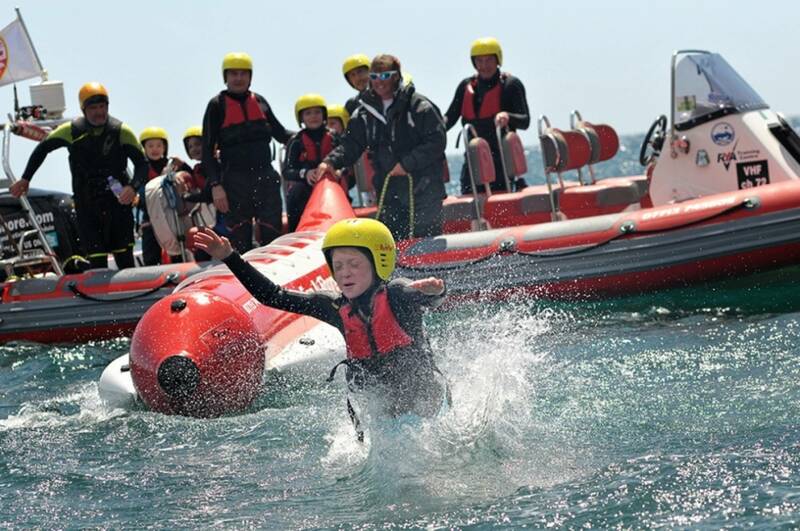 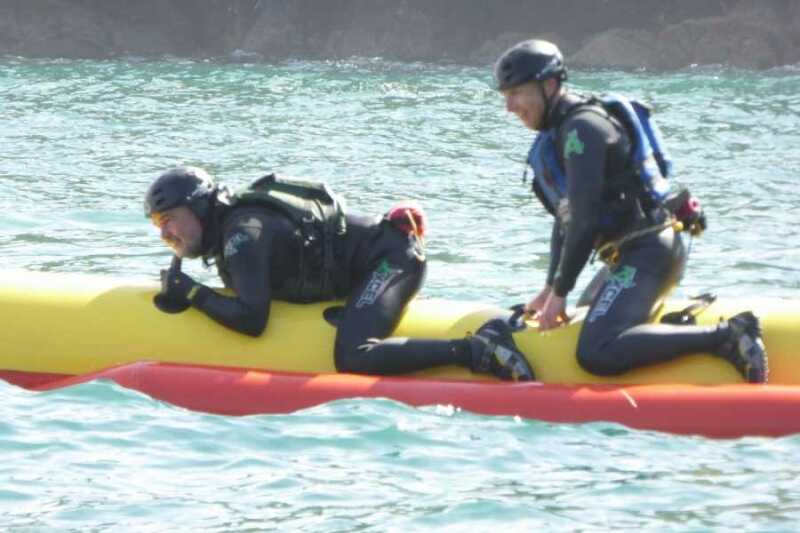 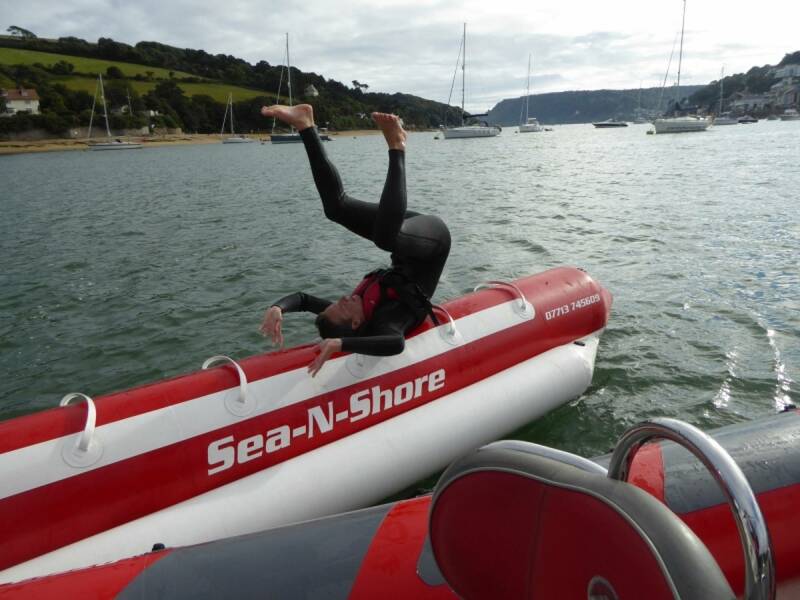 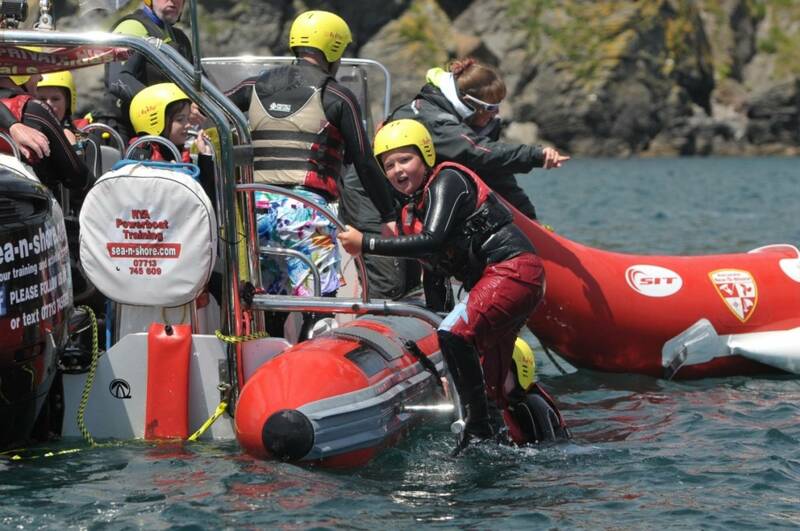 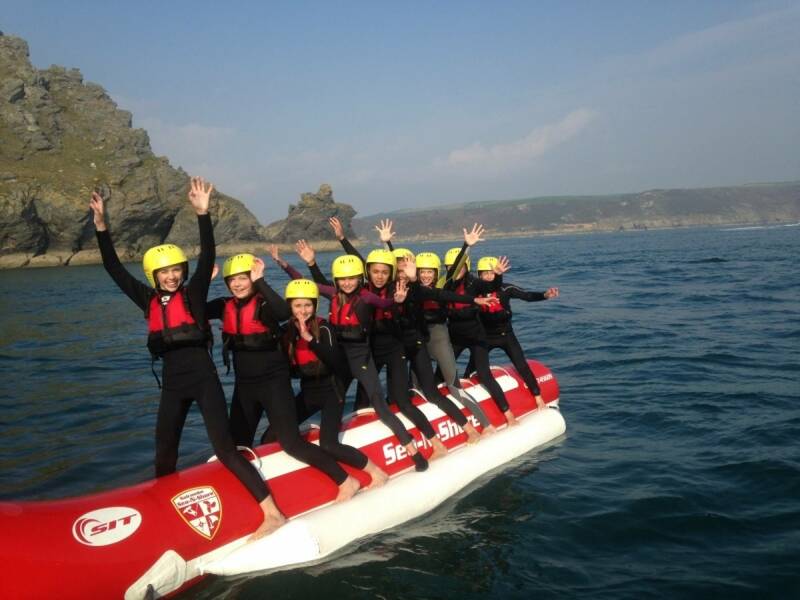 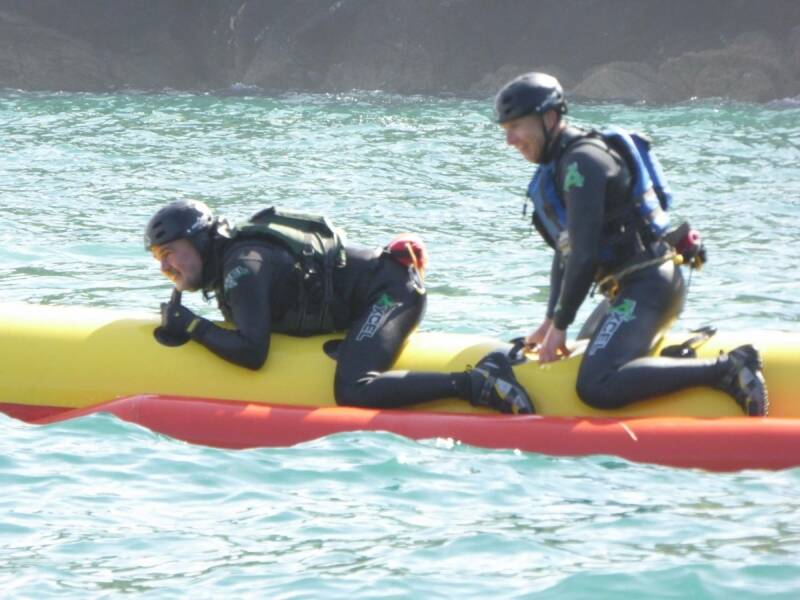 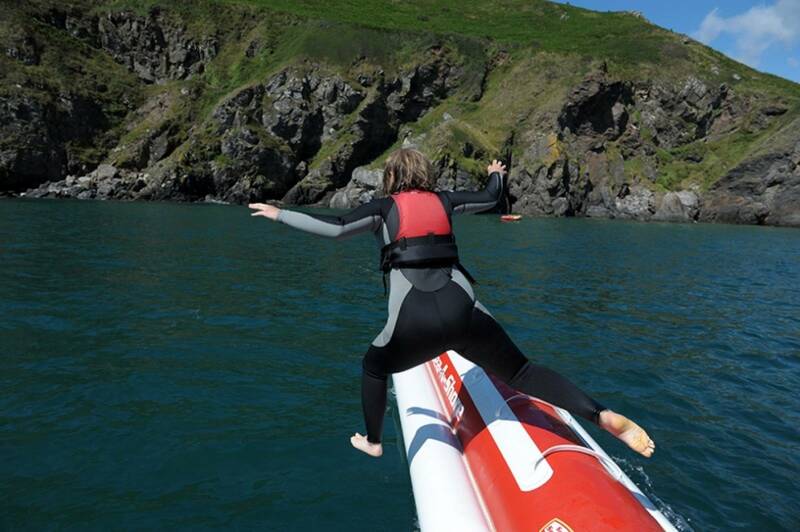 The most common thing we do out of Salcombe is group banana rides and games where we take the 6 man banana, 10 individuals and divide the hour up equally so everyone has rides and games and time out there and divide the cost between the 10, or however many people we get.